I am all about the Holidays! I love this time of year because of the festivities and being with family, friends and loved one’s. Although, for me the Holidays aren’t all about shopping. Hard to believe since I am the Fashionista! I mean of course shopping is a small part but as you grow older you realize that being with those you love and supporting your family and friends is more important than the gifts you buy. It sounds corny but its true. I have always been a big gift giving person for all occasions but realized I needed to slow down. This weekend was a perfect example of why I love this time of year and being with friends and family. I started my weekend at the Guggenheim Museum, with my friend Eric, model, the hi-tech go to person and just all-around fun person to hang out with. You should stop by the Museum on the First Friday of the month, its $25 unless you have a membership to the museum, which is $75. 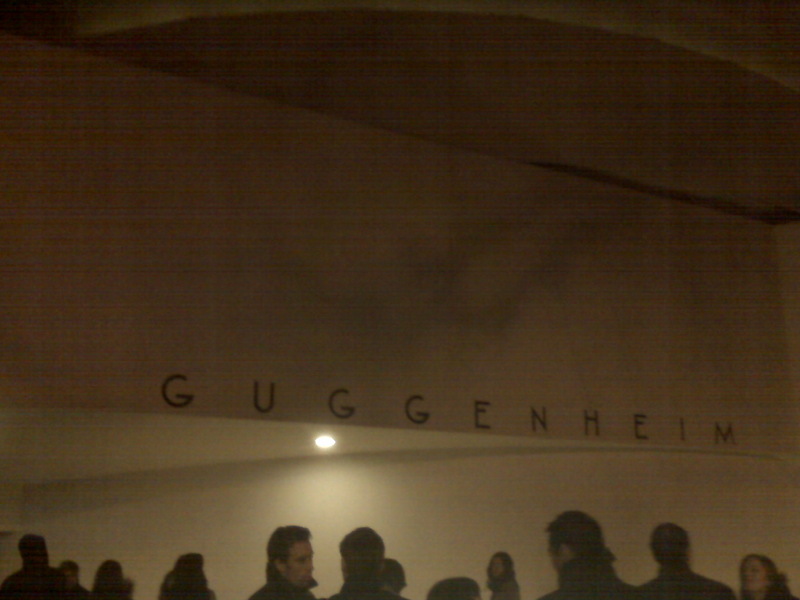 I suggest you become a member of a museum, if your into art and the like, there are some lucrative benefits. If you become a member you can also go to their other locations in Venice/Italy, Bilboa/Spain, or Berlin/Germany. Remember my last article, try something new! 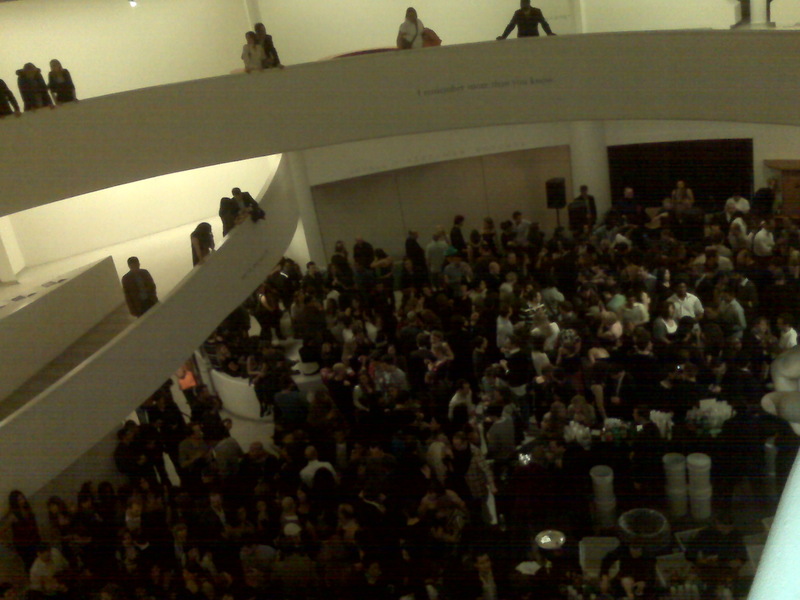 There were tons of people as you see in the pic and the music was great! To balance out the weekend I decided to join my cousin for a little community service. 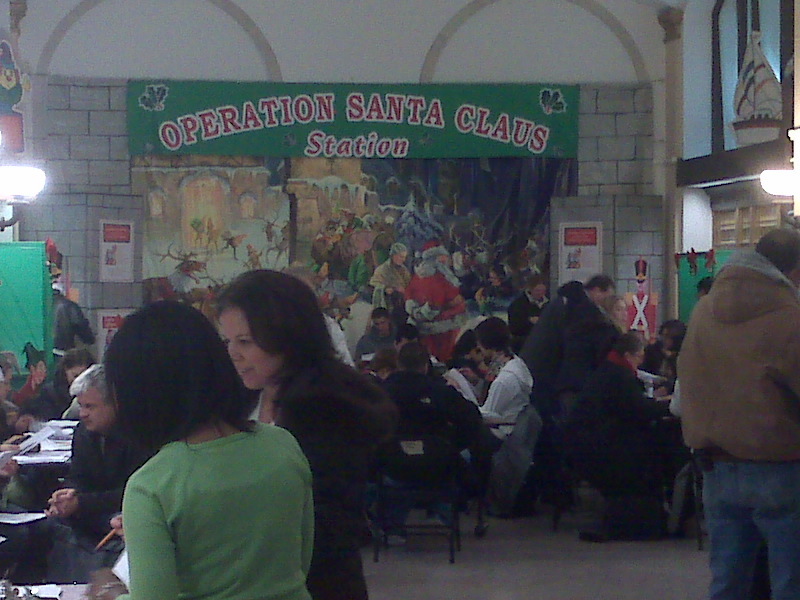 Yasmine, wanted to go to the 34th Street Post Office and take part in the Operation Santa Claus Event. I was barely awake Saturday Morning and I didn’t grab coffee. I am trying to wean myself off of it. Big mistake to try that on a early morning 🙂 But, I was still able to function, slightly. I have always wanted to take part in this event but didn’t have a chance. It was fun being with so many other New Yorkers sharing a common goal, to help a family. 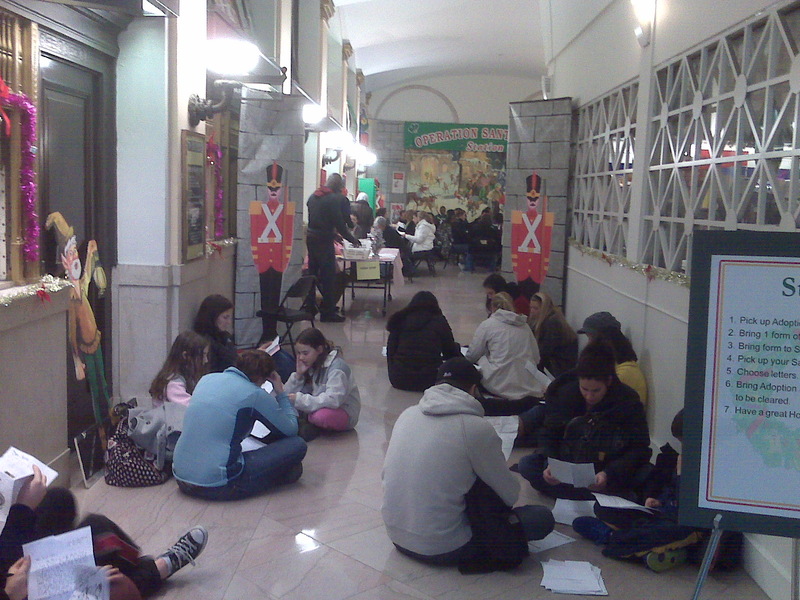 But, it was also sad reading all the letters from the children needing and wanting certain Christmas gifts. Even parents writing that they cannot afford to buy gifts for their children this Holiday Season. I found two families that struck my heart, a single young mother of twins and another mother of a baby that has had serious medical issues since birth. Its always good to take a moment to realize that your situation is not as terrible as it seems. Be grateful, keep striving but be grateful for what you already have! If you would like to help out with this event just stop by the Post Office, located at 421 8th Ave at 33rd Street, call (212) 330-3000 for more information. The day wouldn’t entirely be complete if we didn’t do a little window shopping :). Since we were so close to Macy’s in Herald Square we decided to go and see what was happening. All I have to say is MADHOUSE! I don’t understand how people can shop when its so crowded. I like the store to be virtually empty when I shop. We still made our way around to the different floors just people and clothes watching. I loved this Cole Haan bag (right) and Michael Kors clutch (below)…I just looked! 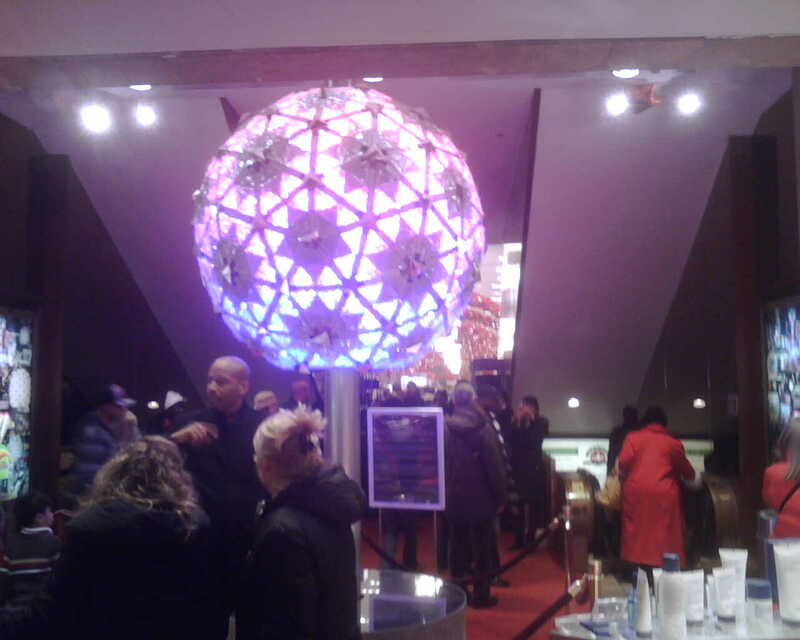 Have you ever seen the New Year’s Ball up close, well here it is in the middle of Macy’s (below). Its the 2008 New Year’s Eve Ball designed by Waterford Crystals. Its a beautiful sight! I’ve never done Times Square for New Year’s, actually standing out there for hours, thinking about it this year, if its not too cold. The night was still young so myself and my two cousins headed up to Harlem. Ann Marie, fellow blogger, told me about Shop n’ Min gle , Uptown’s premier shopping event, hosted by the Brooklyn store, Harriet’s Alter Ego. The event was held at the National Black Theatre. 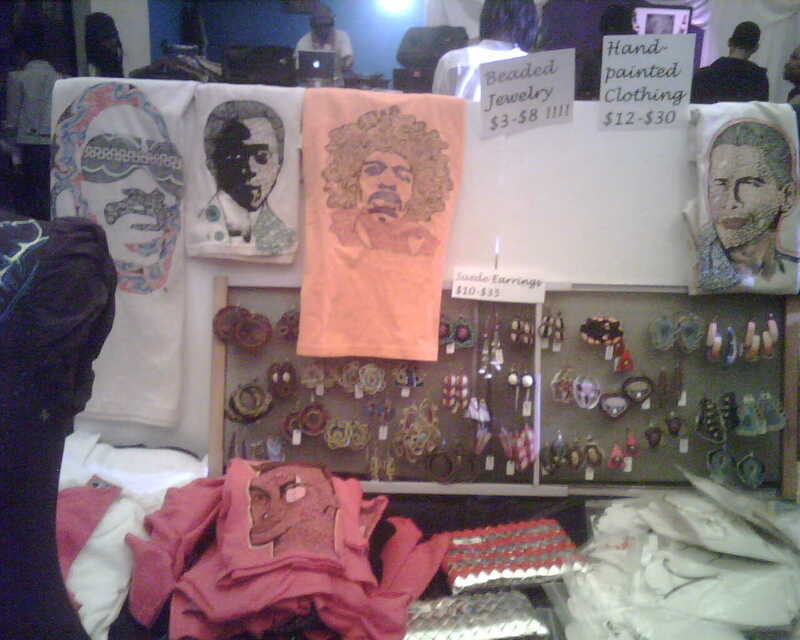 Several designers were on hand selling their one of a kind creations and vintage clothing. 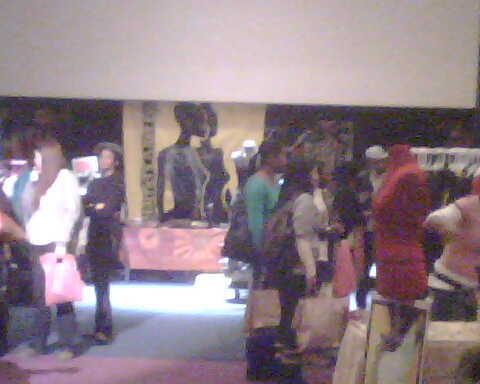 I had a great time meeting the designers and sifting through their merchandise. I met Eboni Cooper, President of Summer Cooper Co. 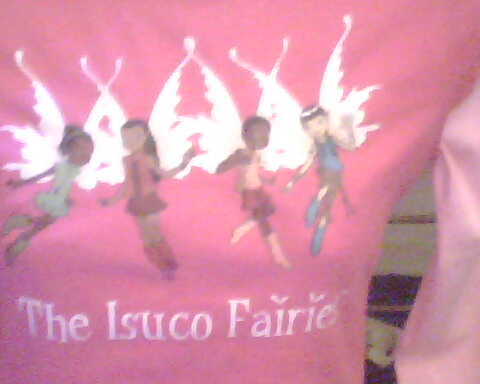 Her line is dedicated to children’s wear, The Isuco Fairies. She has also started to write a series of children’s books. Very cute for young ladies! Here are a few designs by Alicia Piller. All four of the designs you see here were Hand-Painted by Alicia. Very intricate. 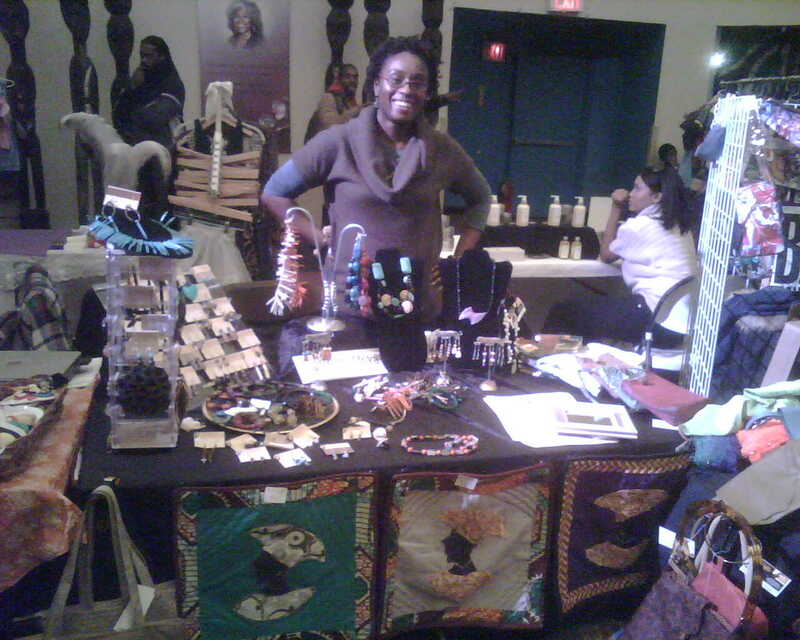 I met Sandra Aya fellow attorney, we’re everywhere, and designer of her brand Pretty Afrika! 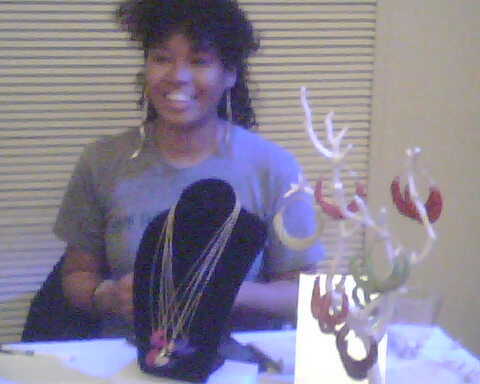 Her line consist of hand-made funky Afrikan jewelry. Her Mom designs the handbags. I like the collaboration! Rebel Chic! Love the name of Tisha Brown’s company and the jewelry. Its “Chic Jewelry with a rebel yell.” Her line is handcrafted and made from fine leathers. Junkprints, funky designs, I like! 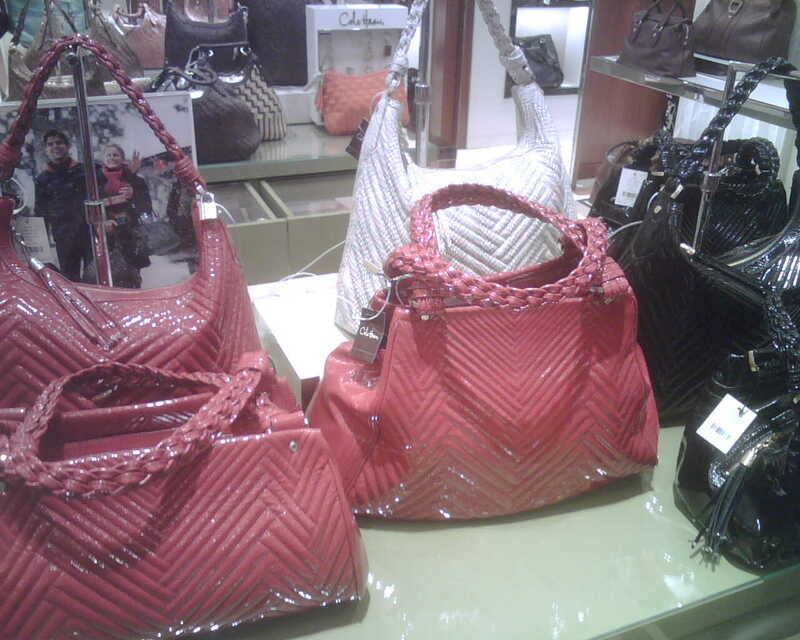 Nneka Saran Handbags, great one of a kind clutch hand-bags. 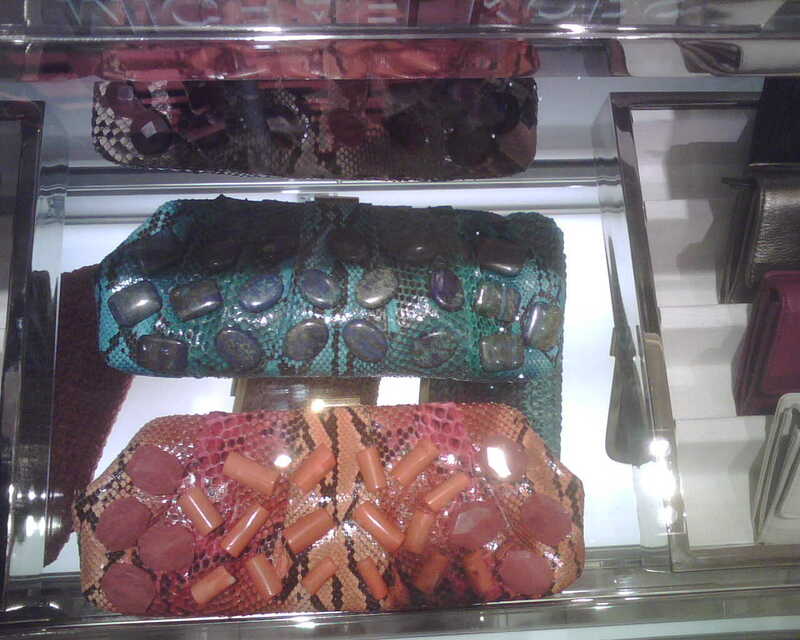 I’m partial to the St. Lucia Clutch…I wonder why! Jeans and a Tee, I love the snakeskin (real snakeskin so if your squeamish…) bangles. 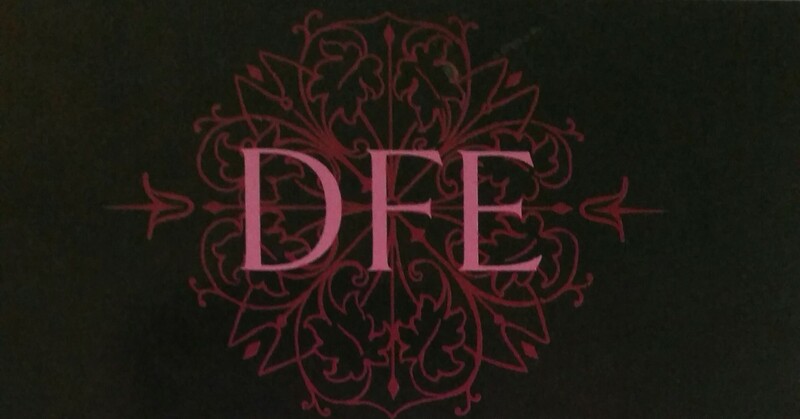 Be sure to tell them Danalee-The Fashionista sent you! By the end of the night we were starving, of course, Fashionistas have to eat! What weekend would be complete without some scrumptious bites. I ate Thai almost the entire weekend…a tad ridiculous that I felt that was the only selection on Earth. But, oh so good. Check out these two spots one in Park Slope, Song 295 5th Ave, and the other in Cobble Hill, Joya 215 Court Street. The two restaurants are exactly the same so just pick the location that suits you. Its inexpensive, the food is great, there is a DJ on Saturdays and great ambiance, oh and they only take Cash! Side note, there is one particular waitress at Song that lacks the Grace of most, but don’t let one bad seed spoil the whole establishment. Look out for her 🙂 To my surprise some friends were here from St. Lucia and they joined us for dinner, which made the night even more of a treat! I ended the weekend with Sunday Brunch…a Fashionistas Trademark! In Law School, myself and two of my girlfriends would meet up for brunch on Sunday all the time. We gossiped (a little :), talked about relationships, our careers. Name it we talked about it! Yesterday, reminded me of that time. I met up with a good friend, Angela, also an attorney, she is hysterical and a lot of fun. Of course we had more Thai, this time we went to SEA in Williamsburg. We hadn’t seen each other for awhile. It was nice catching up. We spent a few hours just talking about, you guessed it, everything and joking around as Fashionistas do! Here’s to Family, Great Friends, and Loved One’s and spending time with each other. What the Holiday Season is Really all about!